Located in the western side of Machu Picchu’s Urban Sector, the Intihuatana stone (also spelt Intiwatana) is a beautifully carved rock that the Incas may have used for astronomical purposes as well as spiritual and religious ceremonies. In Quechua the word Intihuatana translates as “hitching post of the sun,” but it is unknown where the origin of the term originates. No one really knows for sure what the Intihuatana Stone was used for, some historians believe it was used as a sun dial, whilst others theorised its use as an astronomical observatory. Another theory was that the stone was a rock full of energy; a focal point of the positive energy at Machu Picchu and from the surrounding energy currents flowing into the rock. 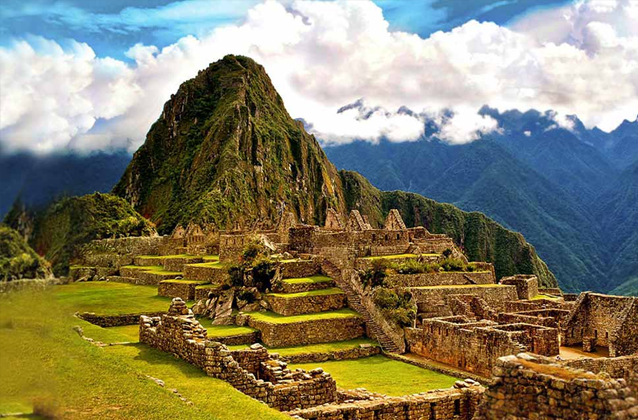 In the past, visitors to Machu Picchu would place there hands upon the stone to absorb the positive energy of the stone, but nowadays the stone is partitioned off from passing visitors with a permanent security guard watching over it.